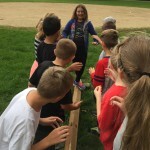 A great way to start the school year out positively is to give your class a teambuilding session outdoors or in the gym or classroom. Working together while having fun! The best way to get to know one another and work on respecting each other is with a hands on experience. Students relate well when they are involved rather than just listening to a speaker. Our sessions are designed to develop cohesion and critical thinking throughout the group. This is very different than an open session at a theme park or other field trip. 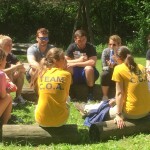 Our staff direct and facilitate an opportunity to make new friends and learn better ways to work together. 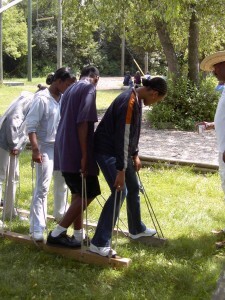 Youth do not need to be athletic or very physical. Experiences are designed to provide thinking challenges alongside physical ones. All are designed in such a way that everyone can participate.Call us to reserve a date! Sessions are typically held morning or afternoon. Shorter versions can be held during a class period- right in the classroom. 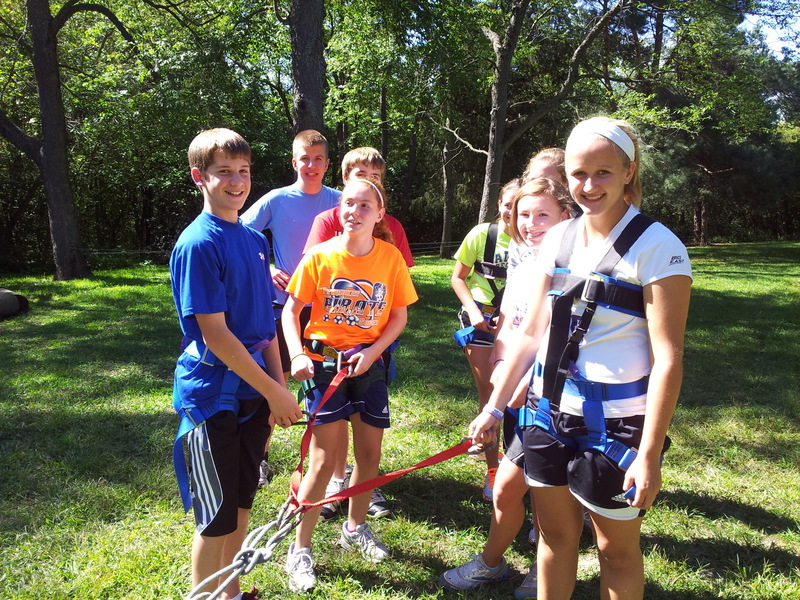 Consider a low ropes course experience to start the year !